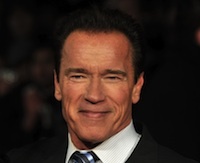 Arnold Schwarzenegger (“Terminator” series, Total Recall) is in negotiations to star in writer/director Steve Pink’s (Hot Tub Time Machine) big budget action comedy The Toxic Avenger, produced by Akiva Goldsman, Richard Saperstein, Charlie Corwin, Stephen Kessler and Michael Benaroya. Lloyd Kaufman and Michael Herz will executive produce. The announcement was made today by International Film Trust’s (IFT) President Ariel Veneziano who will handle all international rights to the film alongside IFT’s Head of Sales Christian de Gallegos. “Our film is a perfect combination of commercial genre, star power and award winning filmmakers to set it apart from other titles on offer at Cannes this year. ‘The Toxic Avenger’ is a blockbuster in waiting with franchise potential. The buyers will love it,” said IFT President Ariel Veneziano.